VINTAGE BASEBALL CARD INVESTMENT GUIDE!!! Well, now you can be!! 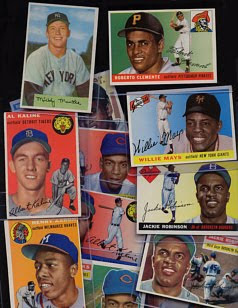 With our Baseball Card Investment Guide, you can learn which baseball cards to invest in to achieve the most profit!!! Investing in today's world is very difficult. All the "Experts" on wall street could not predict the great recession we are in. Americans have lost millions in the stock market just over the past year. Meanwhile, the market for collectibles, especially baseball cards, has remained steady. Every day, sales for baseball cards are breaking records!! This is your opportunity to learn the secrets to amassing a great fortune investing in baseball cards. Do you realize that if could have purchased a 1909 T-206 Honus Wagner PSA 8 card in 1985 for $25,000? 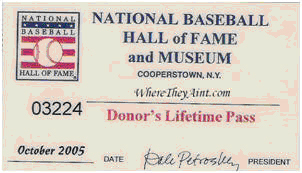 In September 2007, that card sold for a record $2.8 million!!! Don't miss out on the next great investment!! With our Investment guide, you will receive a monthly report and analysis breaking down the top 100 best and worst cards to invest. You will be able to see all the flows of the market place and be able to educate yourself on investing in the baseball card market. For only $24.95, you have nothing to lose! !